GE 66938 - 60 watt Output 120 volt Input Electronic Halogen Transformer (GELT60A12012LW 66938) by GE at Result BD. MPN: GELT60A12012LW. Hurry! Limited time offer. Offer valid only while supplies last. 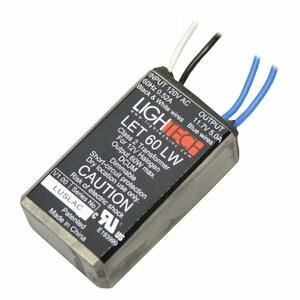 Ideal for signage, architectural, downlight and track lighting applications, this transformer features dimming to 1% as well as a high power factor.